Give your clothing rack display a little lift! 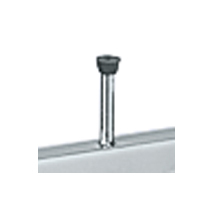 Get the most of your retail clothing racks with 4 additional Rubber Tip Shelf Supports for glass or melamine topper that sits on top of the Round Apparel Racks. For further products, we invite you to take the opportunity to shop our comprehensive inventory of retail clothing racks for sale at Specialty Store Services now.